Al-Zaffran Palace, the headquarters of Ain Shams University signing a cooperation protocol between the university and New Cairo Rotary. 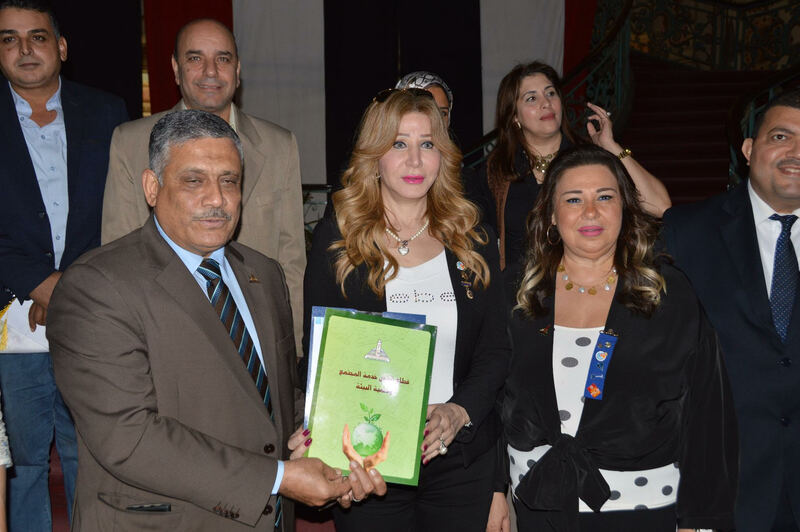 Where Prof. Dr. Nazmi Abdel Hamid, Vice President for Community Service and Environmental Development and Mrs. Fifi Gohar, President of Rotary New Cairo, signed the protocol of cooperation. Prof. Dr. Nazmi Abdul Hamid, Vice President of the University, pointed out that the University has already cooperated with Rotary clubs in many activities and events, stressing the importance of volunteering in partnership with civil society organizations that have an effective impact that benefits all levels. Mrs. Fifi Gohar President of Rotary Club New Cairo expressed its pleasure to sign this protocol with Ain Shams University, which has a great deal in community activities and services. Mr. Samir Abdel Nasser, Secretary-General of the University explained that Rotary clubs have many positive partnerships with the university, expressing his hopes of continuous communication and success. The Protocol includes positive participation in activities related to community service and environmental development in several areas, including awareness campaigns in various fields such as youth, environment, health, child and maternal care, medical convoys, blood donation campaigns, Special needs and organizing seminars and cultural conferences to be the majority of these activities and events at Ain Shams University.